After hours of waiting at the airport for fellow students from different flights to arrive, our Asian Institute of Technology (AIT) van with Students' Union volunteers and us — the newbies finally took off around 10:30 pm. A new publication by Emeritus Professor Ram M Shrestha on “Sustainable Energy Access Planning - A Case Study” has been published by the Asian Development Bank (ADB). 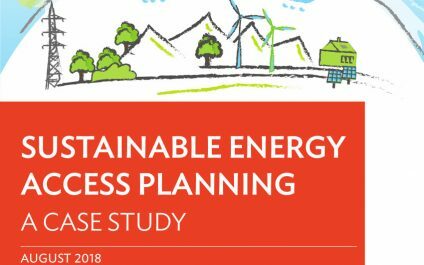 The study is focused on detailed analyses of options for providing cleaner energy access to households in Pyuthan District, one of the economically poor districts of Nepal. 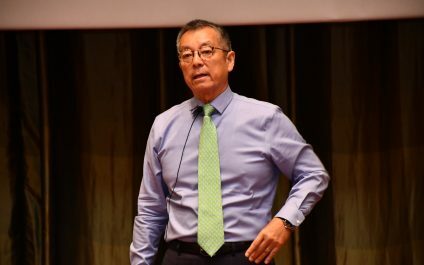 In his inaugural address to the community, President Eden Y Woon unveiled his vision for the Asian Institute of Technology (AIT) as it moves beyond 60 years. 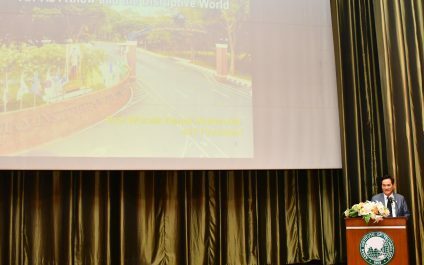 “AIT needs to be a relevant, respected, global, and well-known technological and entrepreneurial institute serving Asia and the world,” President Woon told a packed house at AIT’s Robert B Banks Auditorium on 5 September 2018. The maiden public speech for the AIT family after assuming the AIT Presidency on 1 September 2018 was an occasion for the President to share his strategic vision and introduce himself. A formal handing over of the baton of presidency was organized on 30 August 2018 at the Robert B Banks Auditorium in the presence of the members of the AIT Board of Trustees. For a person who was in the first batch that literally set foot on the Pathum Thani campus of the Asian Institute of Technology, it has been a long journey. Reminiscing the past, speaking about the present, and looking ahead at the future was Prof. 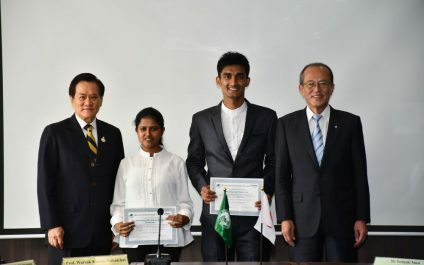 Recipients of the Kurita Scholarship 2018 Award were honored at an award ceremony organized at the Asian Institute of Technology (AIT) on 24 August 2018. 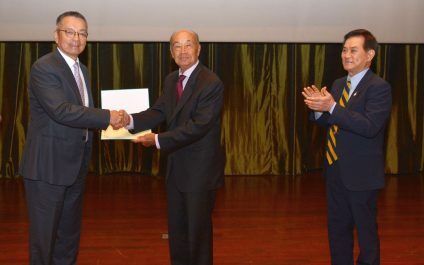 Mr. Toshiyuki Nakai, President of the Kurita Water and Environment Foundation (KWEF) handed over award certificates to Divakar Thapaliya of Nepal, and Withanage Buddhima Sharmane Siriweera of Sri Lanka. 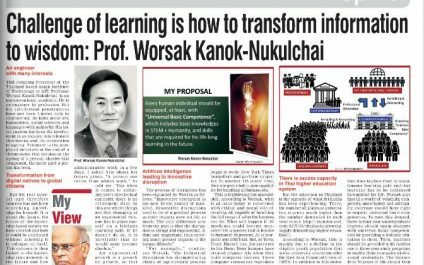 Financial Times (Sri Lanka) and the Colombo Telegraph have a full-page article based on an interview with AIT President Prof. Worsak Kanok-Nukulchai. The article written by W A Wijewardena, a former Deputy Governor of the Central Bank of Sri Lanka, delves on Prof.
Metropolitan Electricity Authority (MEA) of Thailand will depute 24 students to AIT to pursue higher education in the fields of energy and information and communication technologies. This will include five master’s and one doctoral student every year during the next four years. 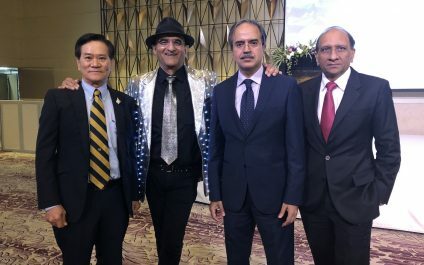 Computers and Structures Inc (CSI), world’s leading structural and earthquake engineering software developer, has proposed the establishment of a CSI Chair at the Asian Institute of Technology (AIT) for Prof. Worsak Kanok-Nukulchai. Mr. Ashraf Habibullah, CSI President and CEO, committed an annual fund of $30,000 for an initial period of two years, but perpetually renewable to support his future professional activities and research. 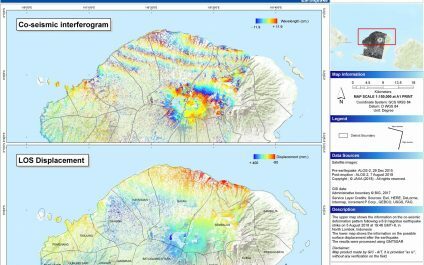 The Geoinformatics Center of the Asian Institute of Technology (AIT) has prepared change detection maps to help disaster rescue and relief operations following the Lombok earthquake in Indonesia. A Disaster Charter was activated on 6 August 2018 after the second earthquake of 6.9 earthquake struck the Indonesian island of Lombok.